We can ensure personal service by soaking up the atmosphere on a walking tour, you may explore the local streets on a walking with an informative, friendly and professional guide. 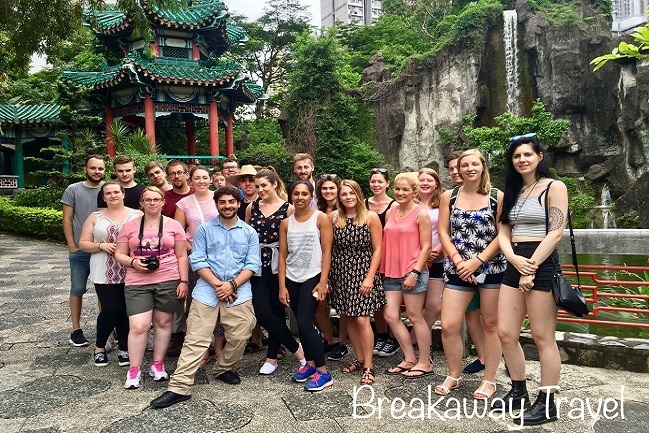 We will tailor make the itinerary according to what you wanted, we will combine different tour elements to explore our city with taking local transportations like star ferry, tram, MTR or bus. You will find tourist information on attractions and local festivals on our blog. Pick a topic that interests you and will discover local advice to guide you thought many exciting experiences. More than Forty-five years of experience in Hong Kong gives us an unique insight into what is possible in our destinations as well as finely tuned appreciation of what our clients want from their journey. Our commitment to operate with the highest standards of service and professionalism as well as offering and executing seamless travel experience are the reason why Breakaway stands on the edge of tomorrow travel. If you have any inquiry, please send us an email. We guarantee to reply you within 24 hours. 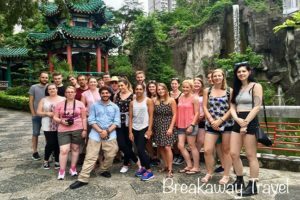 Our friendly guide will regale you with the history of the city and share fun facts with you, learn more of Hong Kong’s food culture and history of development. All our tour guides are licensed tour guides with more than 15 years of relevant guiding experiences. We are so glad to linkup with TripAdvisor. You can book your tour with us or book through TripAdvisor and get a booking confirmation instantly.